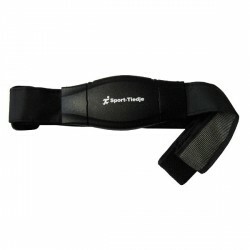 The Wahoo chest strap TICKR heart rate strap BT 4.0 /ANT+ measures your pulse while running - exact and reliable. The Wahoo chest strap TICKR heart rate strap BT 4.0 /ANT+ is compatible with Smartphones, supporting Bluetooth 4.0 or ANT+. 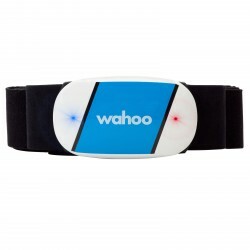 The battery of the Wahoo chest strap TICKR heart rate strap BT 4.0 /ANT+ can be changed by the user and the chest strap is washable. Special floor mat for crosstrainers, ab and back trainers, etc. 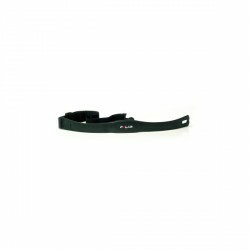 The uncoded Polar chest strap including elastic strap for ECG accurate measurement of your heart rate with extended range. The Comfort chest strap Sport-Tiedje Premium consists nearly completely of textile materials and offers the highest wearing comfort. 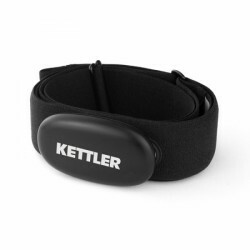 It is ideal for ECG-precise measurement of the heart rate and is compatible with all Polar-compatible receivers. Battery is exchangeable! Sport-Tiedje value pack! 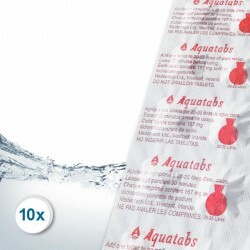 Slow dissolving, high-quality chlorine tablets for maintining your rowing machine. Just put one tablet in the tank every other month to keep it free from limestone, deposits and residues.